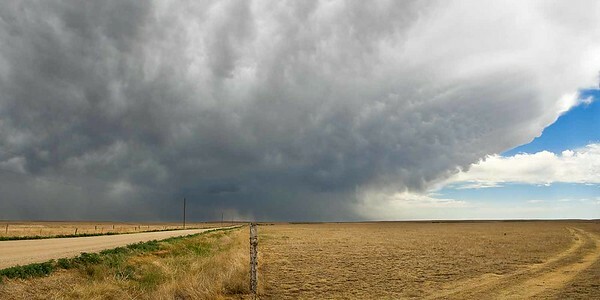 Photos from areas outside of Kansas not contained in a unique gallery. 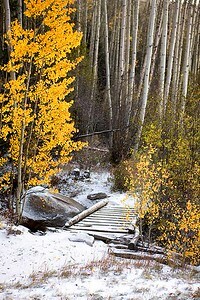 At the Denney Creek trailhead, west of Buena Vista, Colorado. October 1, 2009. Eastbound along I-70 in eastern Colorado, this thunderstorm dominated the eastern sky. East of Agate, Colorado. July 6, 2008. 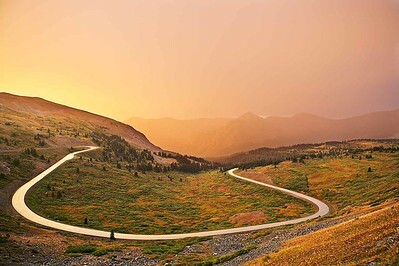 At dawn atop Cottonwood Pass (elevation 12,126 feet) on the Continental Divide in central Colorado. The rising sun, hidden by the mountain to the left, is backlighting the mist with an orange light. West of Buena Vista, Colorado. September 5, 2007. 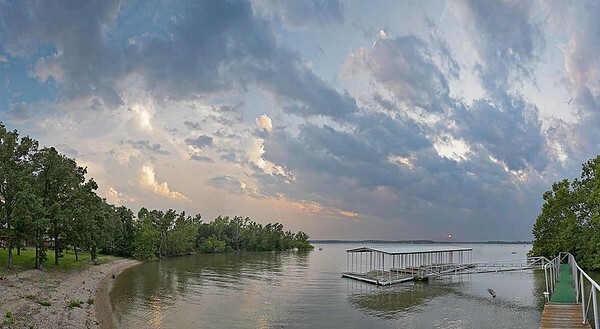 Grand Lake O' the Cherokees, near Grove, Oklahoma. June 9, 2007. 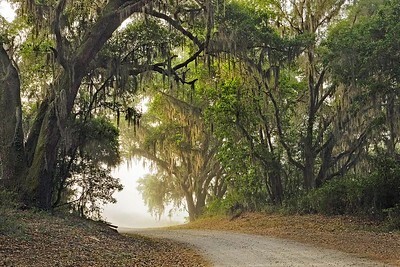 Right across the river from Savannah, Georgia is the Savannah National Wildlife Refuge, 29,000 acres of marshland, hardwoods, and tidal streams. 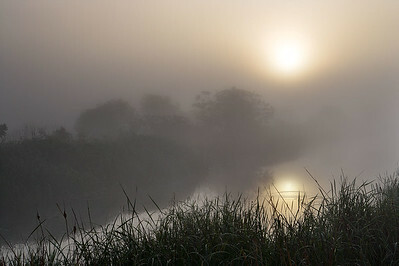 This image is a foggy dawn along the refuge's four-mile wildlife drive that gives easy access for photographing the waterfowl and alligators. South Carolina. April 23, 2007. This red barn lies in shadow among the trees behind a small sunlit pasture on a warm October day. Near Gilbert, Searcy County, Arkansas. October 23, 2003. Shiloh National Military Park was established in 1894 to preserve the scene of the first major battle in the Western theater of the Civil War. The two-day battle, April 6 and 7, 1862, involved about 65,000 Union and 44,000 Confederate troops. This battle resulted in nearly 24,000 killed, wounded, and missing. It proved to be a decisive victory for the federal forces when they advanced on and seized control of the Confederate railway system at Corinth, Mississippi, about 20 miles south. The battlefield contains about 4,000 acres. 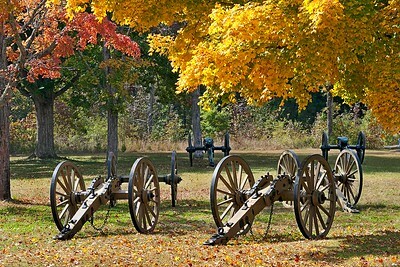 Shiloh National Military Park, Tennessee. October 21, 2003. On a family vacation in Prince Edward Island, my wife, a quilter, was impressed by the patchwork nature of the farms. This is a typical scene. One widely-available tourist item is a dirty-red T-shirt which proclaims it was dyed in PEI soil. Prince Edward Island, Canada. May 19, 2003. 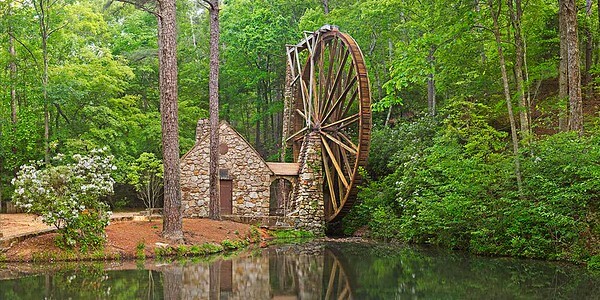 This wooden overshot waterwheel, one of the largest in the world at 42 feet in diameter, was constructed in 1930 on the Berry College campus by student workers. The Old Mill is still operated on special occasions, grinding corn for campus visitors. My twin daughters attended Berry College, in Rome, Georgia. May 4, 2003.